We began with the card called Pay Attention. The message here is “Notice repetitious signs and your inner guidance, as this can yield valuable information.” If we relate this to the previous Tarot reading, it can suggest that the answers to our perceived problems lie within our own selves. Focus on your thoughts and feelings, and you will begin to understand what is happening and why. The next card is called Healing Heart. The message here is “You’re a powerful healer. Keep up the good work!” My immediate reaction to this card would be that it must relate to someone who practices Reiki or some other mystical energetic therapy. That is not me. Well, not officially. We all have the capacity to heal. There might be a particular person close to you right now who is benefiting from your love and support. Acknowledge your power, and continue to share your love and compassion with the wider world. Finally we were shown the card called Synchronicity. It all begins to make sense and fall into place. The message from this card is “Your prayers and questions are being answered by synchronistic events. Notice them in order to increase their flow.” It is time to wake up and acknowledge the rewards you are being given. Things might seem tough in some areas of your life, but in others there will be wondrous things occurring that you have taken for-granted. Be aware, be thankful, and be happy. Only then can you help people around you, and collectively we can raise our vibrations and return to the spiritual roots from whence we came. Our world is a wonderful place. We are all wonderful people. Have a lovely day! 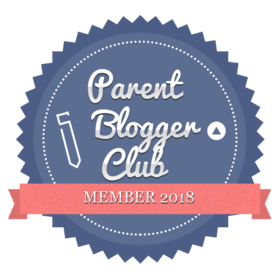 This entry was posted in british, catherine green, health, holistic health, holistic therapies, mind body spirit, pagan mother, paranormal, Random Musings, rosemary douglas, spirit sisters, Spiritual, spiritual growth, spiritual guidance, Spooky Stuff, tarot reading, UK and tagged #30plusblogs, #bloggersblast, #bloggerslife, #blogginggals, #Britmums, catherine green, daily oracle card reading, doreen virtue, doreen virtue angel therapy cards, Doreen Virtue oracle cards, energetic therapy, Mermaid and Dolphin Oracle Cards, mermaids and dolphins, mind body spirit, Oracle Card reading, oracle cards, rosemary douglas, SpookyMrsGreen, stockport cheshire, Tarot and Oracle card reading, tarot card reading, the pagan housewife, water elementals. Bookmark the permalink.